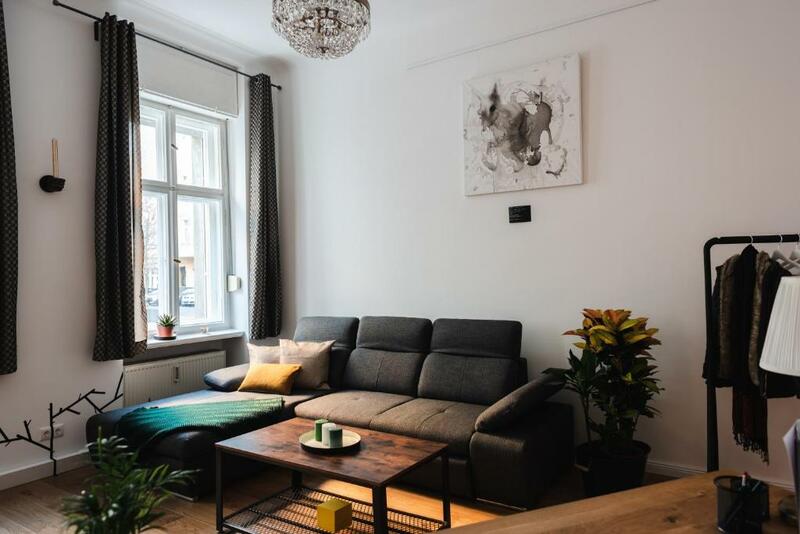 #New# Biz Apt | 5min HBF | HotSpot2go | Berlin Art is located in the Mitte district of Berlin, an 11-minute walk from Memorial of the Berlin Wall, 0.8 miles from Natural History Museum, Berlin and 1.2 miles from Pergamon Museum. The property is 1.3 miles from Neues Museum. The apartment consists of 2 separate bedrooms, 1 bathroom with free toiletries and a hair dryer, and a living room. There's a seating area, a dining area and a kitchen equipped with a dishwasher. The Reichstag is 1.3 miles from the apartment, while Museum Island is 1.3 miles away. Tegel Airport is 6 miles from the property. 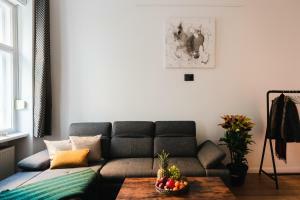 When would you like to stay at #New# Biz Apt | 5min HBF | HotSpot2go | Berlin Art? 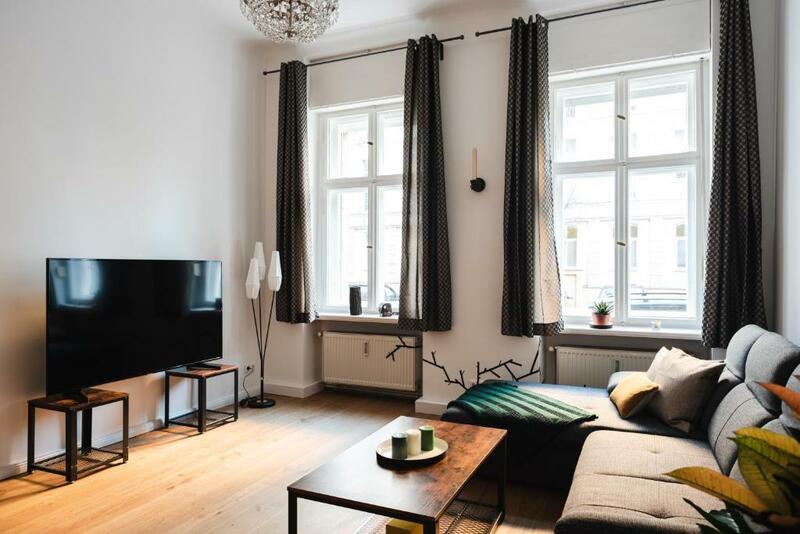 Central 3-room 90m² apartment with vintage furnishing & 4m+ high ceiling +new, fully equipped kitchen & new bath: renovated October 18' +180x200 king-sized boxspring, queen-sized bed & huge sleeping couch +200mbits Wifi + 200mbit portable WIFI +central but quiet +high quality designer furniture, local Berlin art & free partner products +Berlin Wall and many sights in direct proximity! +5min to Central Station, 10min to Alex +65'' Smart TV with Netflix +workstations +payed laundry service #The apartment is a registered, legal holiday apartment that complies with local laws. 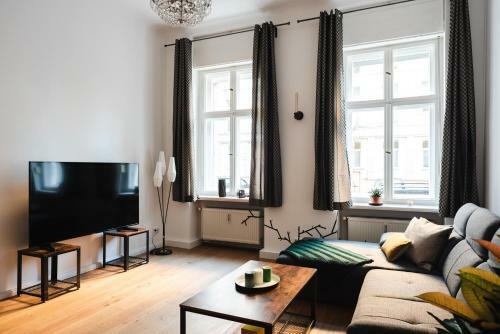 As it is a commercial place, the housing market is not affected as residential living is not permitted in the space.# Elegant, urban living at Romantiker-Kiez in Mitte: experience one of the most vibrant neighborhoods in a well connected location right in downtown Berlin. Relaxing sleep on premium boxspring bed by designer brand Malie and high quality mattresses in a quiet street and peaceful neighborhood. A brand new renovated 90m² 3-room apartment with designer furniture, 4m high ceilings and luxury amenities in kitchen and bathroom. #Special# Tie your running shoes and go for those miles with my Co-Founder Ludger running at the beautiful Volkspark Friedrichshain for free -> just send us a message via booking dot com #Special# My team will be available for anything you need both online and on demand if needed. Self Check-in is provided by a lockbox. The code and directions will be provided 24h before arrival. Please provide us with your time of arrival and departure once you are booked. 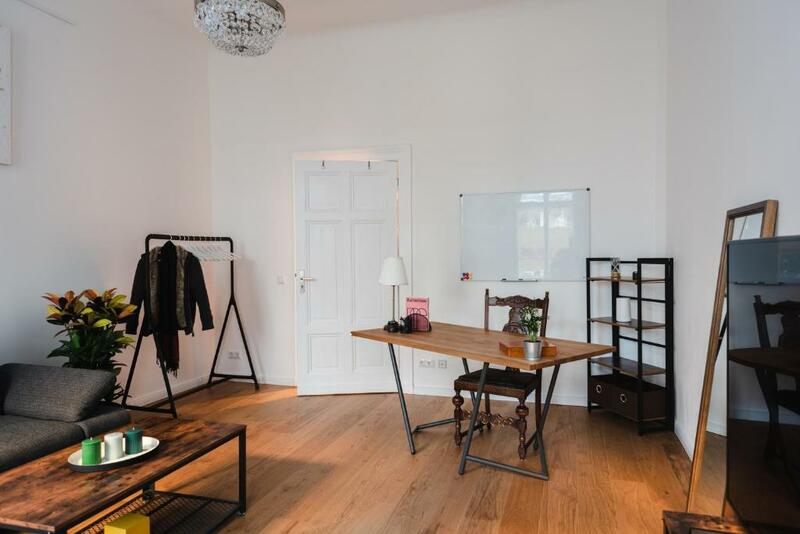 House Rules #New# Biz Apt | 5min HBF | HotSpot2go | Berlin Art takes special requests – add in the next step! A EUR200 damage deposit is required on arrival (around USD224.05). This deposit will be fully refunded at check-out, as long as there isn't any damage to the property. Please inform #New# Biz Apt | 5min HBF | HotSpot2go | Berlin Art of your expected arrival time in advance. You can use the Special Requests box when booking, or contact the property directly using the contact details in your confirmation. A damage deposit of EUR 200 is required on arrival. That's about 224.05USD. This will be collected as a cash payment. You should be reimbursed on check-out. Your deposit will be refunded in full, in cash, subject to an inspection of the property. We need at least 5 reviews before we can calculate a review score. If you book and review your stay, you can help #New# Biz Apt | 5min HBF | HotSpot2go | Berlin Art meet this goal.